From May 6 to May 10, 2018, we received the visit of the partners of the YMCA d’Haiti commonly called, the Coalition. 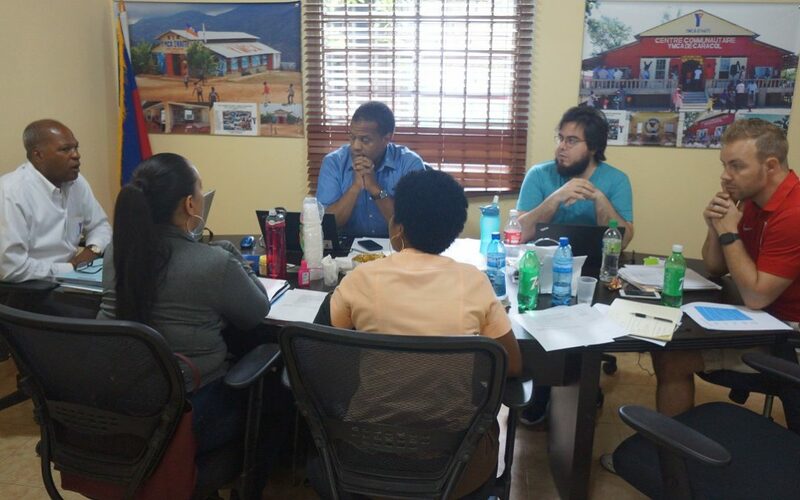 Once again, our partners had strategic meetings on the development of the YMCA d’ Haiti. They also had the opportunity to discuss and exchange with our young leaders that they found very dedicated, sometimes more than some staff! The coordinators have benefited from the expertise of the partners who organized training sessions on day camps, relations between Leaders Clubs and many others. It shall be noted that the Coalition’s visit is an opportunity for our partners to renew their commitment to us by confirming the work we are doing while helping develop sustainability.